Not a Maillart among them. Tragic. 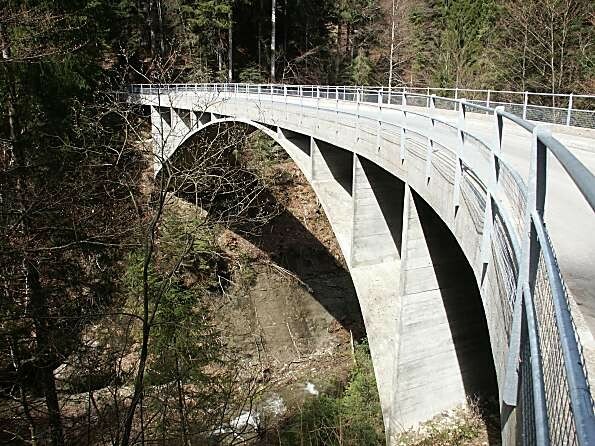 EDIT: So Robert Maillart was a Swiss bridge engineer who pretty much broke every rule there was to bridge building. He winged it. He said "looks good enough" and he was always right. It wasn't until the invention of Finite Element Analysis in the late '60s that it was possible to run the equations necessary to verify that his bridges were every bit as strong as they needed to be. This is mostly a list of "mundane bridges in pretty places." Maillart made beautiful bridges. This is mostly a list of "mundane bridges in pretty places." I disagree -- there's an art to fitting the bridge into the locale. The bridges aren't technically impressive (except maybe the one constructed from roots?) but they certainly aren't mundane. I think they were going for a fantasy theme and Maillart looks more like scifi. To be fair: they titled it "20 mystical bridges that will transport you to another world." Which Maillart will never do. He was a poured concrete dude, and Swiss besides. You titled it "20 beautiful bridges". I checked it on my phone and didn't look at the title they used. You're right - by their criteria, Maillart doesn't belong. But I still insist that Maillart's actual bridges are more beautiful than these. These bridges are largely mundane. And they're all footbridges. I'm old fashioned so I like footbridges, but I still would never associate 'lack of technical proficiency' with 'mundane'. Also -- disclosure! -- I liked the list because I've crossed one of the bridges. I saw a large bridge this weekend, crossing the Rio Grande west of Taos. Nothing extra-special about it, but any well-made bridge that spans a thousand foot deep canyon is pretty damn cool. Damn hard to get around New Mexico without bridges. All them buttes and mesas. I shared it. They're pretty. That first one was in Legend, I'm pretty sure. Doesn't surprise me, basically any of them could be. I need to give props to the Swift River Bridge. 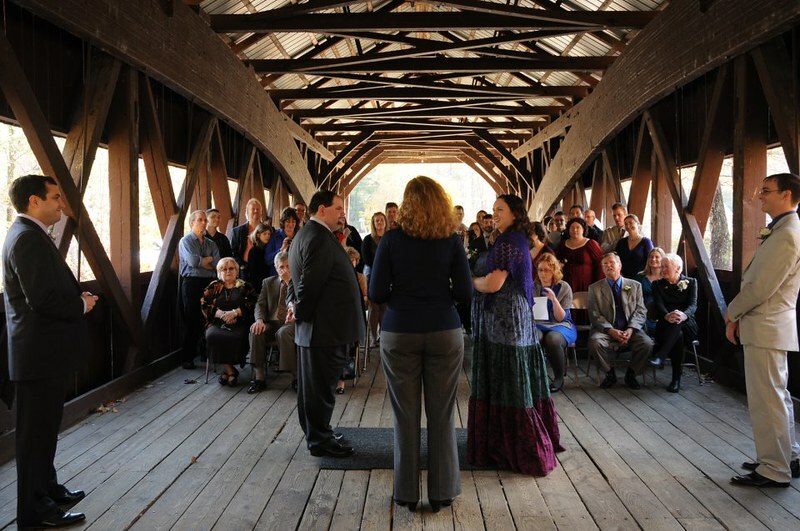 It's a covered bridge in my wife's home town of Conway, New Hampshire. We got married on it. your bridges are pretty flaggy it's just they're mostly pictures and I like to read things. I will also probably never ever see any of these bridges (I'm okay with that. Priorities). Yeah I like to read things too maybe the pictures will inspire you to read things about the bridges many of them probably have fun Pan's Labyrinth style evil history associated with them. The last one in the list, the Gapstow Bridge, is in Central Park. This is probably the most approachable of all of them for a North American.